EWC Diagnostics distributes Xebios Diagnostics products in the Benelux and France. High Quality and flexible Culture Media production in Germany. 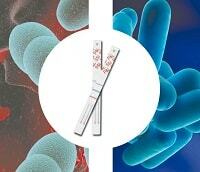 Unique combined testing of your membrane filter with our Culture Media for Water Analysis. Re-sealable packs in environmental friendly, reusable boxes delivered with our own temperature controlled transport. 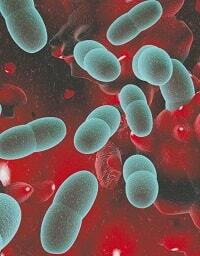 New patented high quantity X-PACK containing 120 Culture Media dishes. Our solutions bring efficiency to your Laboratory and reduce waste. EWC Diagnostics distributes SSI Diagnostica products in the Benelux. 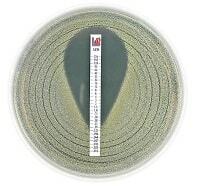 The first lateral flow strip test for detection of both Pneumococcus and Legionella in one test. The ImmuLex® S. pneumoniae Omni is a ready-touse latex test for detection of all 92 Streptococcus pneumoniae serotypes directly from a positive blood culture and from a pure culture. EWC Diagnostics distributes Liofilchem products in the Benelux. ComASP Colistin is a new compact panel containing the antibiotic in 7 two-fold dilutions (0.25-16 ug/mL). 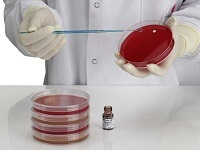 The panel allows for four samples to be tested with the broth microdilution method for the antimicrobial susceptibility testing of colistin (polymyxin E) as recommended by international standards (i.e. CLSI, EUCAST, ISO). EWC Diagnostics distributes TCS Biosciences products in the Benelux and Germany.